Recently, the folks at Google posted a video of a fake Google live event. 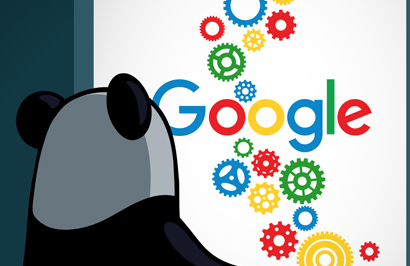 The event is supposedly hosted in Japan and talks about the launch of a brand new Google product, dubbed ‘Google Panda.’ Not to be confused with the algorithm update of the same name, this new tool is actually a stuffed Panda. It offers users the ability to ask it whatever question they have in mind and it will answer them right away. It is not a complicated gadget, as it incorporates the Google Now intelligent personal assistant developed by Google incorporated into a stuffed panda toy. As most Android users know, Google Now is an interface that takes in users’ natural language queries and generates results ranging from answering questions to making recommendations. In the same way that the Google web-based search engine operates, Google Now also makes suggestions based on the users’ previous search behaviour. So imagine all that but not inside a phone or a PC, but inside a cute panda. Google Panda offers users the ability to have all their questions answered, from their own portable panda. If you are interested to know more, then you can check out the mock-up Google Panda product launch video by hitting play below. It is important not to confuse this cute April fool’s Panda with the real Google Panda which is a change to Google’s search results ranking algorithm that was first released in February 2011. The change aimed to lower the rank of “low-quality sites” or “thin sites”, and return higher-quality sites to the top of search results. It’s important to remember that the Panda itself is regularly updated. Just because a site has escaped being penalized by a previous Panda update doesn’t mean that it will be unaffected by any future ones. If you want your website to succeed in search results, you need to stay one step ahead and ensure that your website is consistently bringing value to your visitors. • “Does the page provide substantial value when compared to other pages in search results? • Is this article written by an expert or enthusiast who knows the topic well, or is it shallower in nature? For the complete list, you can check the Google Webmaster Central Blog. Log into your Google Account and find your site’s Google Analytics profile. Navigate to Traffic Sources, then Search, then Organic. Filter the results by “Source” and then select “Google” from the list. You should now be seeing all the organic traffic coming from Google over the selected date range. Isolate a 3 month, then 6 month date range. 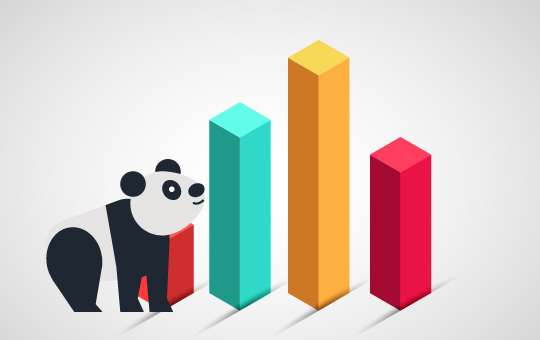 If you notice any significant drop in traffic associated with the date of the Panda updates, you might have experienced what is known as a “Panda slap.” You can find all the Panda (and Penguin) algorithm changes on the Moz Google Algorithm Change History or on Algoroo. Remember: always proceed with caution and seek professional SEO help, un-educated changes can affect rankings negatively. Contact the SEO experts at BlueHat for more information. In our opinion, we believe that the two Pandas are trying to help each other. The first illustrates the power of Google’s intelligent search capabilities to find the best results to users’ queries, and the second of course aims to clean up the web to help good and informative sites outrank poor and unhelpful ones.